The Mortgage Bankers Association (MBA) just released its Commercial Real Estate/Multifamily Finance Quarterly DataBook for the second quarter of 2010. Their analysis show that commercial real estate fundamentals showing signs of a firmer stabilization as job cuts slowed and businesses started to hire, consumers began to re-open their pocketbooks and more households looked to rent rather than own their homes. In addition, the data points to more solid demand in the multifamily market. According to U.S. Census figures, the number of households owning homes has declined by 370,000 while the number of households renting has increased by 3.25 million. Because every percentage point drop in the homeownership rate implies a roughly three-percent increase in demand for rental housing, rental property markets are seeing an increase in demand far in excess of household growth. The DataBook compiles the most up-to-date information on topics of interest to commercial/multifamily real estate finance industry participants and observers including trends in property sales, originations, delinquencies and mortgage debt outstanding. For the full analysis please click here. See more on Real Estate Financing. 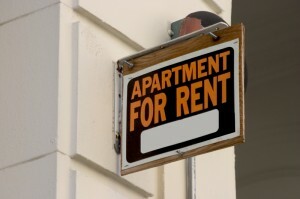 American Apartment Owners Association offers discounts on products and services for landlords related to your rental housing investment, including rental forms, tenant debt collection, tenant background checks, insurance and financing. Find out more at www.joinaaoa.org.